Writing this was hard because I felt that discussing how media can be addictive would put me in the position of ruining something that is fun for others. 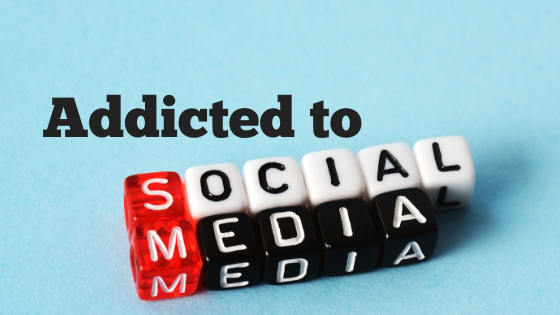 However, the reality is that many of us have fallen prey to the addictive nature of social media. These days, we have become the lab rats of media companies that use science, algorithms and everything they know about hooking us up to just do that: hook us to be online. They create an experience that hooks us to stay hooked. The problem is that what starts as a potentially fun activity ends substituting for the rest of our lives. It becomes an unsatisfying virtual world that substitutes for what can be a reality. What is an addiction? An addiction is something we do compulsively despite the negative effects it may have on our life and health. If you drink a glass of wine and have fun with your friends it is not an addiction. If you drink two bottles of wine and it ends ruining your relationships because you keep doing it, and doing it until you black out, then it is an addiction. Social media, because it can destroy your social life, erode your activities, ruin your sleep and harm your relationships, can become an addiction. Media becomes an addiction when it distances us from feeling that our life has meaning. This is because many social media experiences are designed to make us feel anticipation for the possible reward of having people talking about us or being part of a larger community. When your app shows us the number of new tweets or new e-friends our brain releases dopamine, the pleasure neurotransmitter. Then we feel compelled to look into our app to get more dopamine. The prospect of more dopamine keeps our brain hooked to stay online, and so we stay late and lose sleep. The next day, you are sluggish, but the prospect of getting home and looking at you Instagram or Facebook may get you going through the day. Over time, you stop paying much attention to your analog friends. If you go on a date, you may even be more attentive to the phone than to the flesh and blood person in front of you. Media starts to acts as a substitute for your real life. You can sometimes see couples that are both looking at the phone, on a date. I often wonder how that ends, if they forget that they care any more. In a sense, it makes chemical sense. Like a substance addiction, media addiction offers the promise of endless dopamine release. Sometimes we get hooked because psychologically, the escape is also a great attraction that helps us engage in denial about other problems we may be having. What I am talking about is that our life may not be going anywhere, but playing video games for hours or spending hours online substitutes for a life well-lived. Research shows a close relationship between depression and anxiety, and media consumption. As one withdraws from the world gradually, one gradually loses connection with people and activities and it becomes more and more difficult to re-engage. This is because real life people do not have the hype of Youtube personalities. Most people are less exciting. We forget that the media personality only spends a few minutes making the video, the rest of their day they act normal. In an endless binge of short videos that promise us pleasure and dopamine, we gorge on more than one video. One after the other, we stay hooked. We let hours go by without doing nary a thing to advance our life, and now it is still where we left it. Our life gets co-opted by fake hype and endless fluff. When we get off, we most likely feel hollow and depressed, because what is around us lacks the hype and needs our care. We feel bad about being even more isolated and having less command of our lives. The problem is that media consumption is easy. Our life is not. Media companies benefit from this because their manipulations are aimed to make us waste time on their sites so they get paid for our time. Our lifetime. So what to do? The first thing to do is to change the way you engage in using social media or gaming. A good goal-management method is to use media as a reward that we only get after we have completed certain tasks that we identify as important. Only after we finish the laundry, then we get a bit of media as a prize. We complete a project, then we get a bit of media to reward us. Another method is to schedule our media consumption and keep track of the time spent. There are apps that track time spent on certain sites and then lock you out. There are many apps you can use to monitor your consumption such as iPhone’s new iOS, for example, that has a monitoring feature embedded in the software and it gives you weekly reports. Another method is to make a list of favorite activities that do not involve either our phone, the computer, or media. The goal is to make us go through the whole list before we are allowed to indulge in media or phone use again. I use that one myself. I like it because it brings balance to my life and I get to enjoy some media every so often. What happens if you try these strategies and cannot reduce your consumption? If you feel that you are continuing to use media or your phone compulsively, it is ruining your life, and you don’t know how to stop…then you may have an addiction and may need addiction counselling. Another possibility, which I believe is true for many people, is that we may have forgotten how to endow life with the excitement and meaning that we crave. This situation requires a bit of work towards identifying clearer life goals and managing one’s life to achieve them. You cannot, however, do that while you are hooked on media. 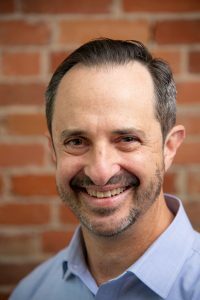 The counselling professionals at IHI (Ariel Blau, RSW and Lauren Berger, RSW) can help you change your life so you can enjoy more meaningful activities, better relationships, and feel more joy. The other practitioners at IHI can help you build activities that enhance your well-being such as developing healthy habits, eat better and improve your physical health. Make an appointment today, so we can help you get on your way to a better life. « Runners – Are you Killing your Immune System?